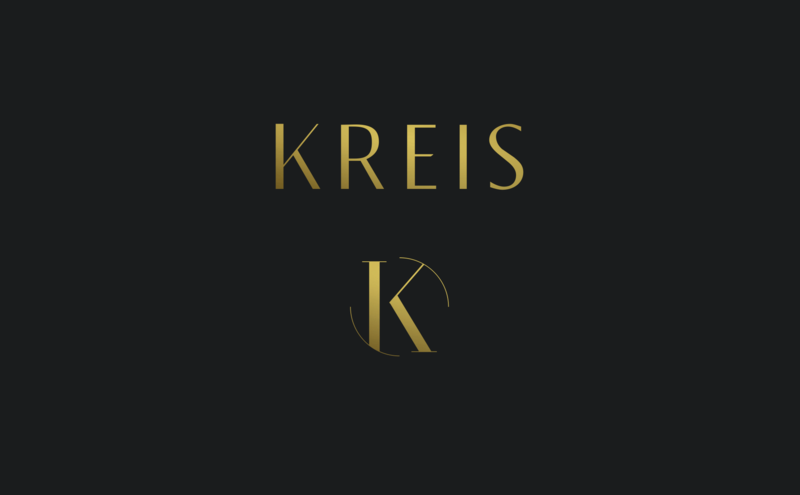 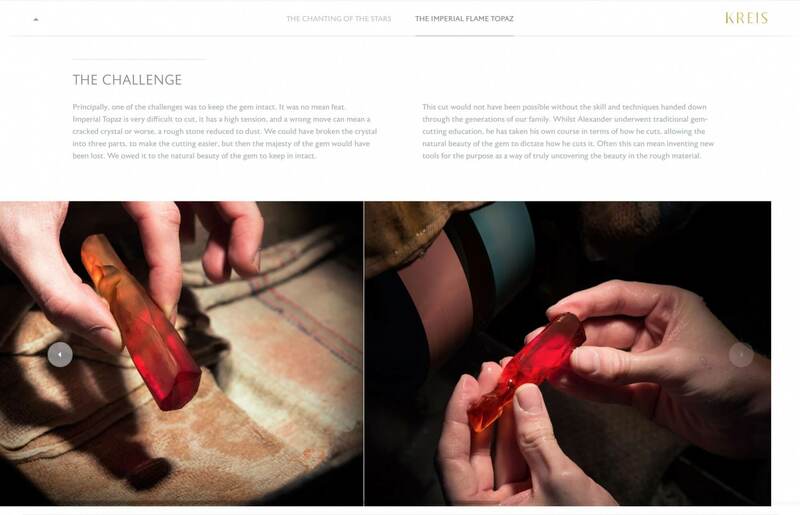 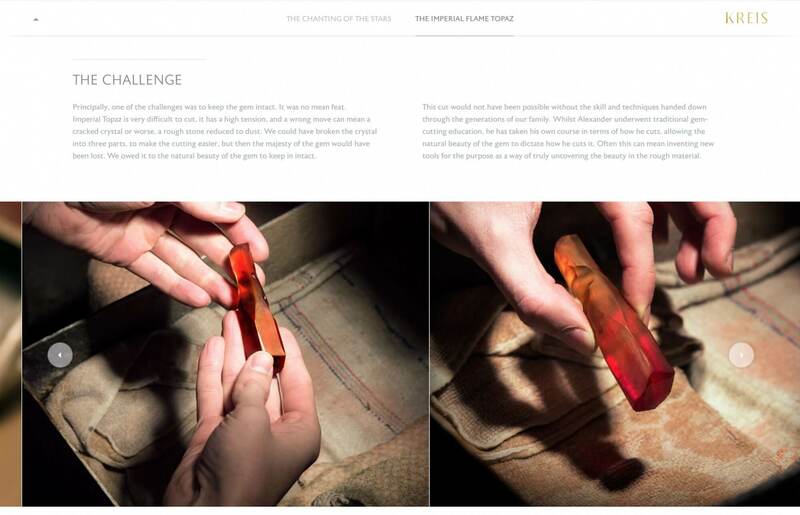 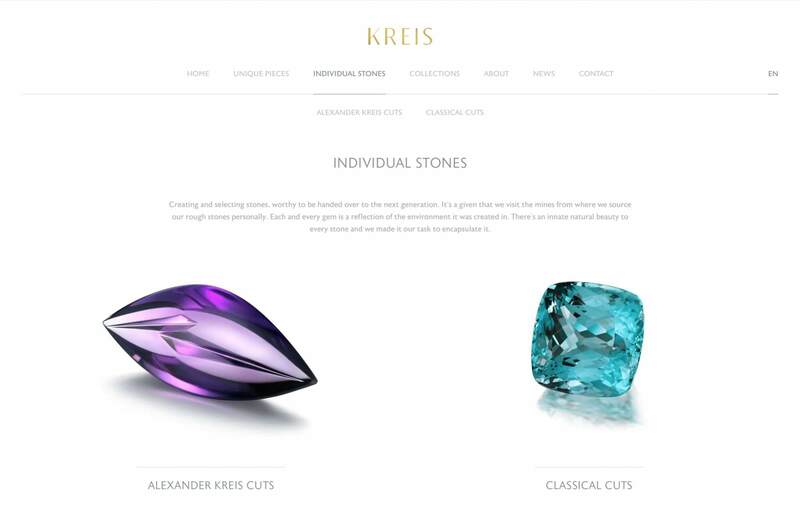 Representing more than five hundred years of sourcing and then crafting rough stones into things of beauty, Kreis Jewellery produce both stunning jewellery pieces, individual cut stones and unique creative pieces which are completely unique to their master gem-cutter, Alexander Kreis. 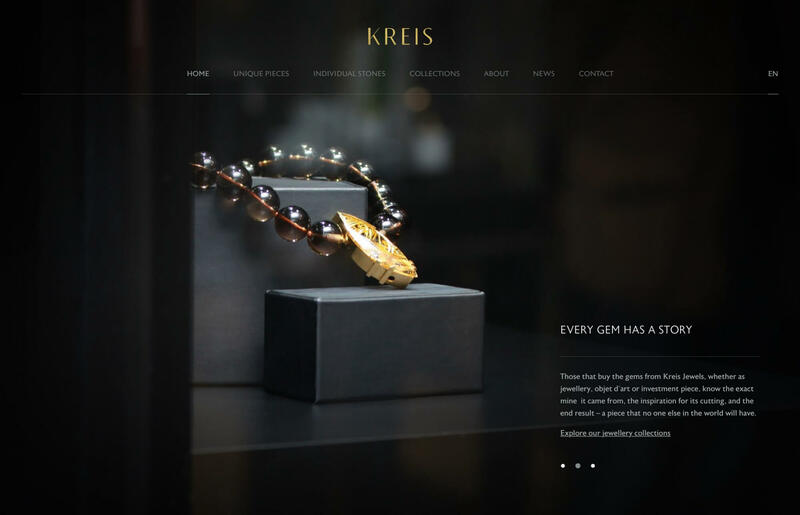 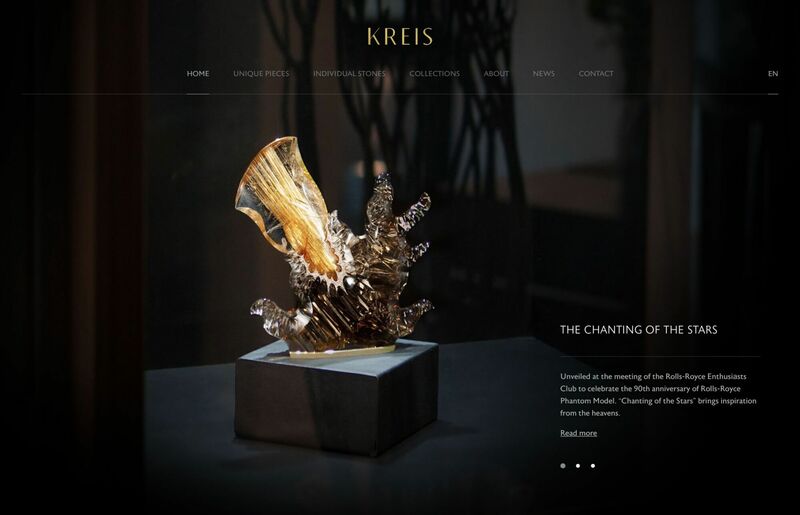 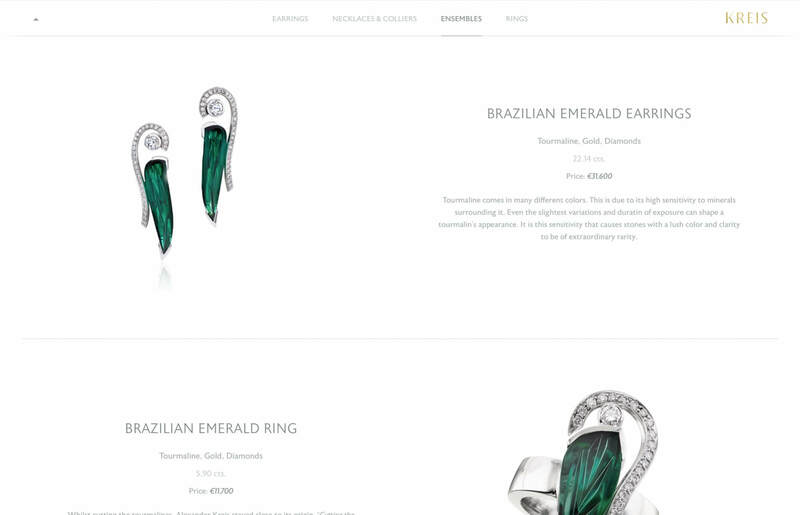 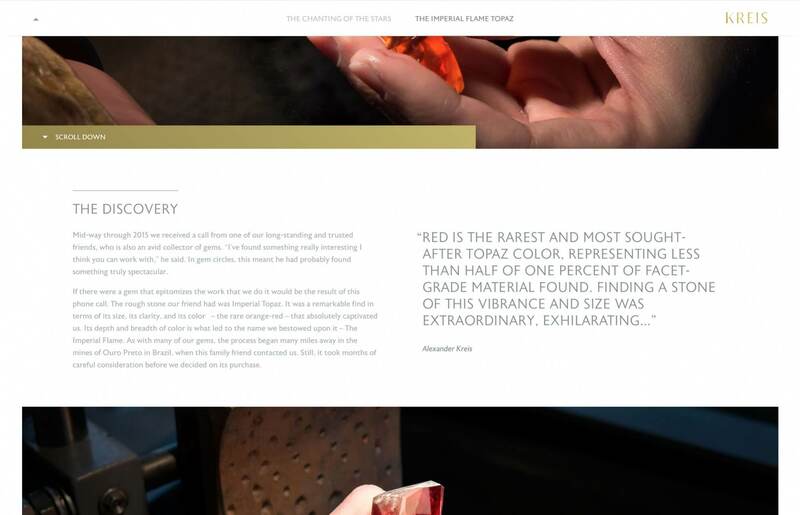 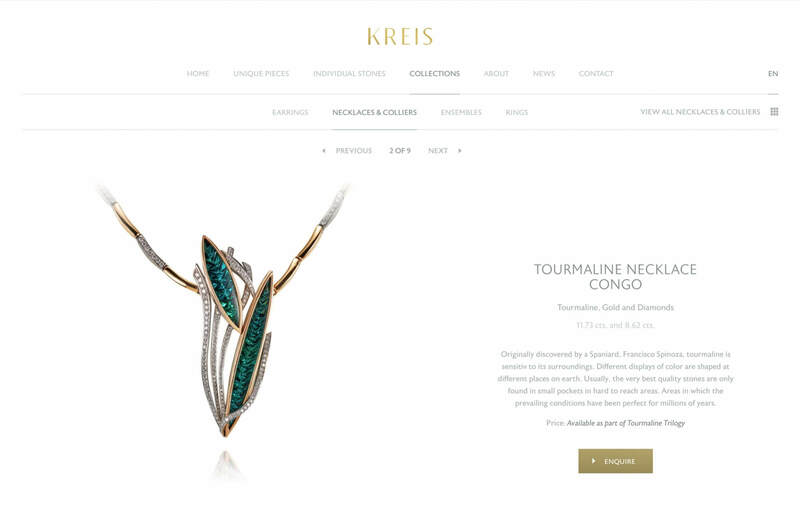 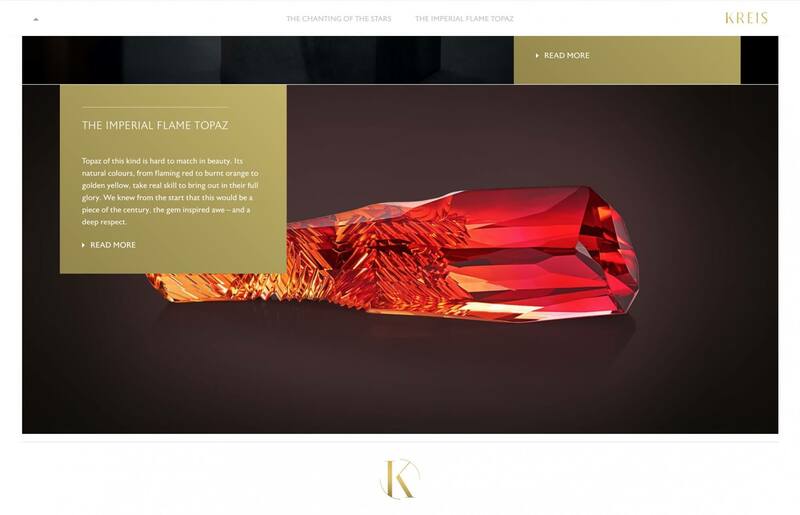 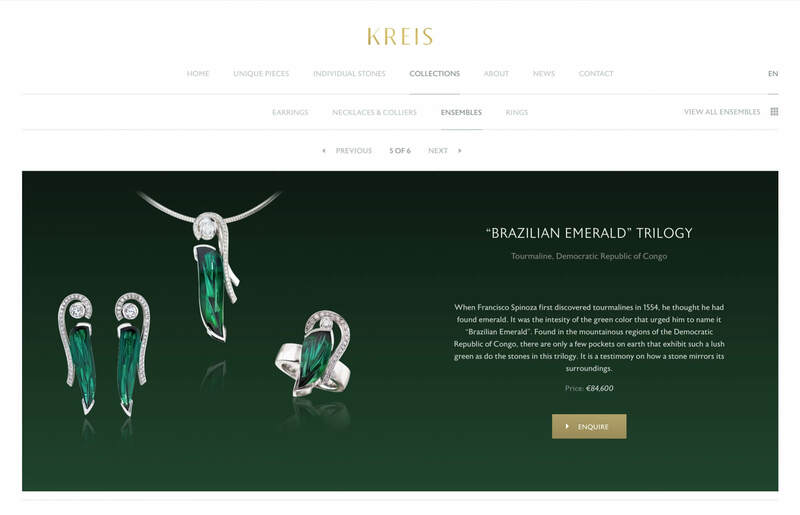 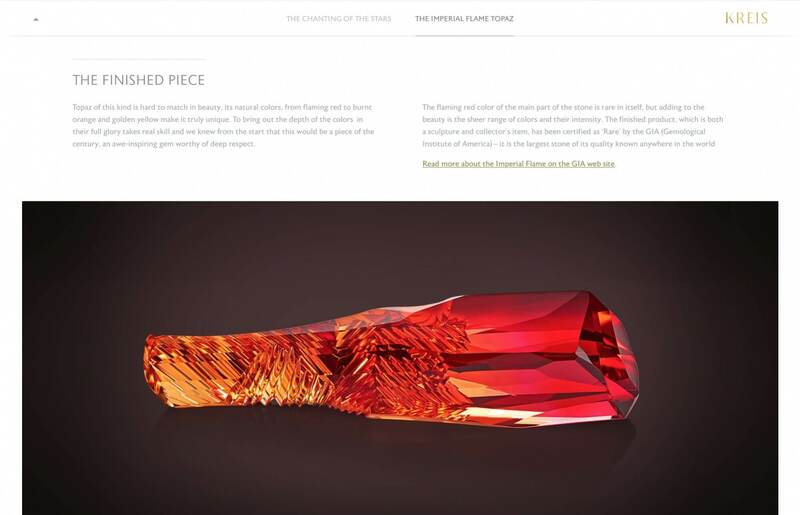 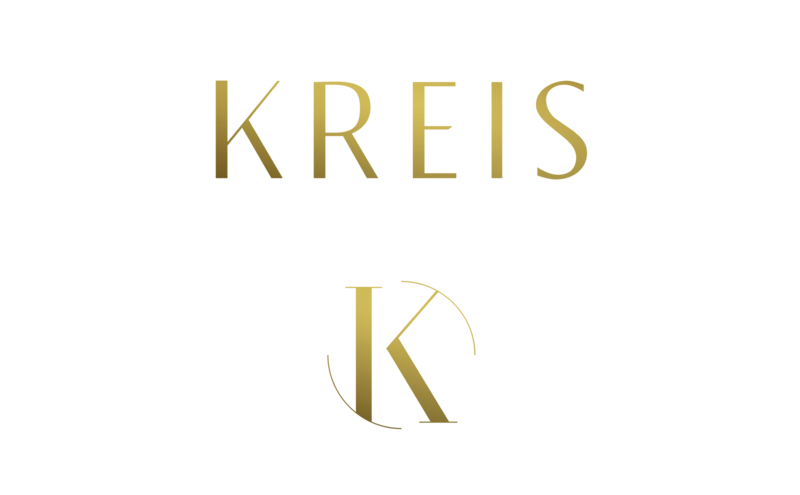 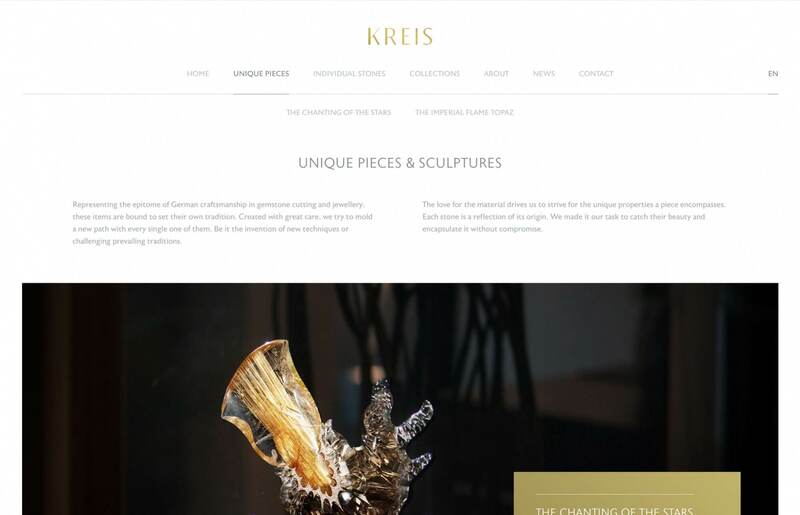 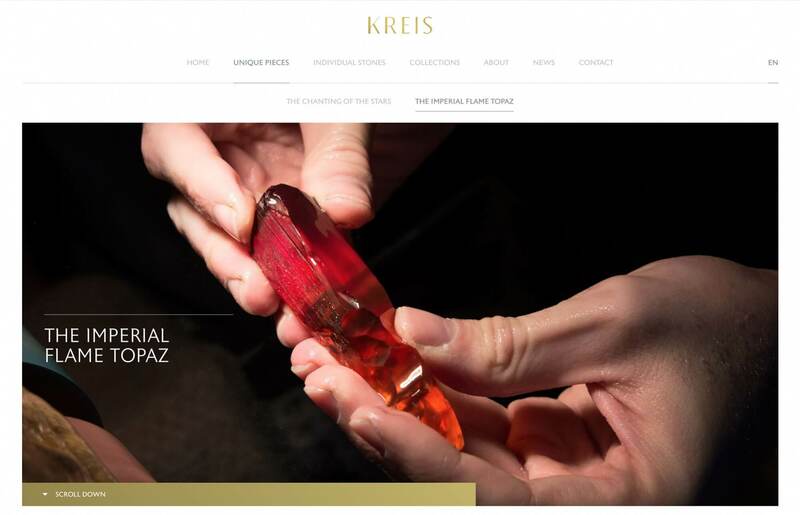 Based in Idar-Oberstein, Germany, an area famed for its gems dating back to the 16th century, Kreis have a global clientele of both private clients and investors. 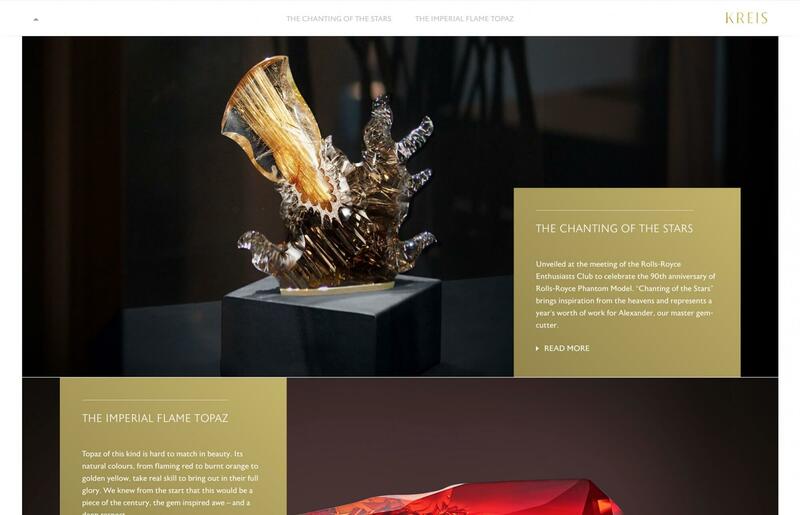 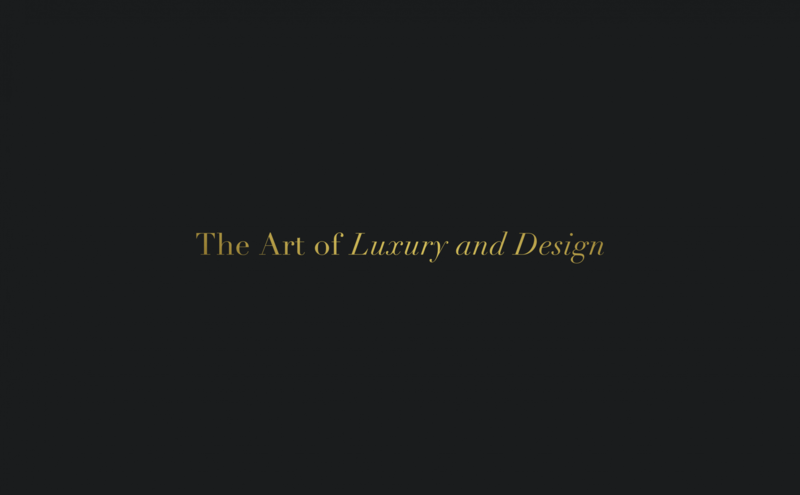 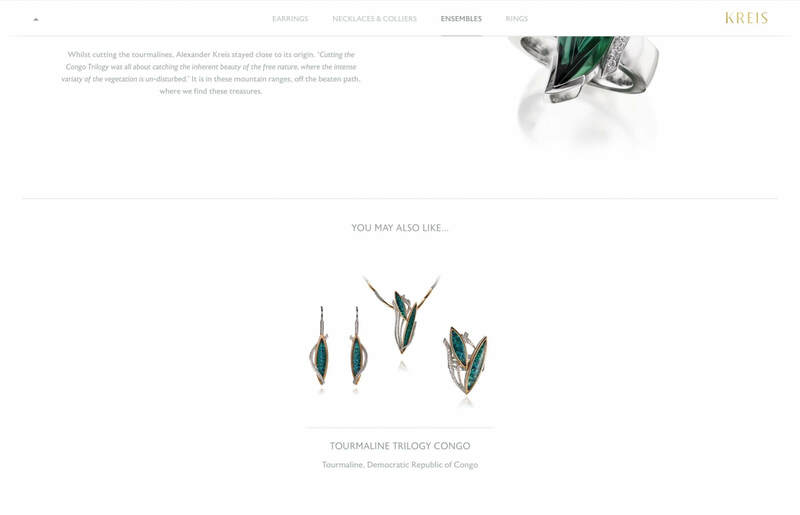 Reflecting both traditional craftsmanship and contemporary innovation, their work is showcased around the world and represents a glorious meeting of jewellery and art. 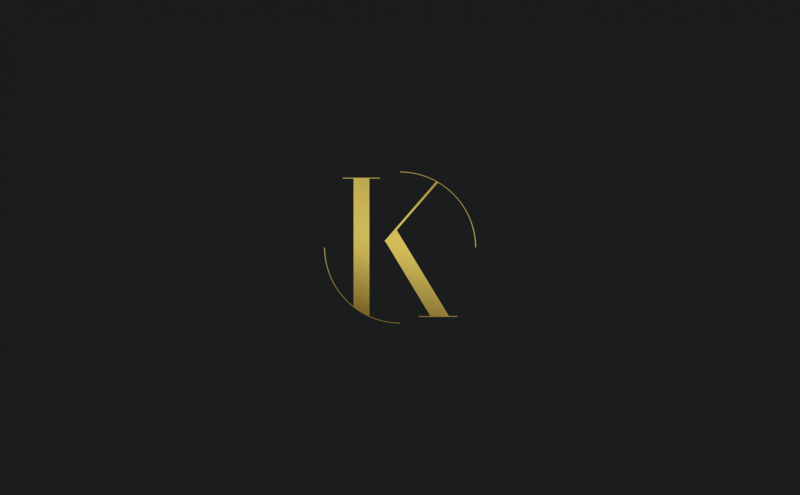 We were appointed by the family to create a new identity for the business and to implement this across the range of marketing collateral from the website to stationery and signage for their boutique.